Tonight I have mixed emotions. 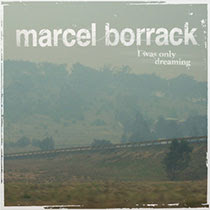 To elaborate…Arsenal lost the Champions League final tonight in reasonably unfortunate circumstances….but…I received the new CDs of two of my most favourite of all time, Melbourne musicians; Marcel Borrack and The Killjoys. So even though yesterday I depressingly calculated that the carbon emissions that I’m directly responsible over the last 5 years of world travel, is about 30 tonnes of CO2…I’m reasonably happy because I’m fit and healthy and in PRETTY GOOD cycling form. sorry to hear about your Arsenal…. but buck up! the world cup is around the corner! Australia is in the World Cup – woo!